Udaipur is the evocative and romantic hub of India. This is one city where you do not require staying in a luxury palace hotel to enjoy its charms. 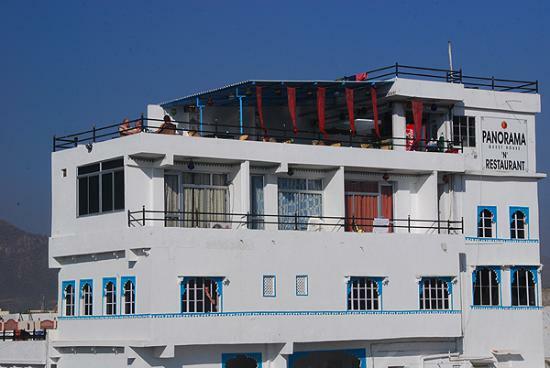 Well, Udaipur gives you a plenty of inexpensive hotels to choose from. Watch the magical view of Lake Pichola and the Lake Palace Hotel and be mesmerized any time of the day. There are also many touristy streets around Lal Ghat, close to the City Palace and Jagdish Temple – the favorite hang out spot for tourists. Directly across the water, Hanuman Ghat, too does not lag behind in offering beautiful hotels. The environment is quieter with the aesthetic view of the city palace. 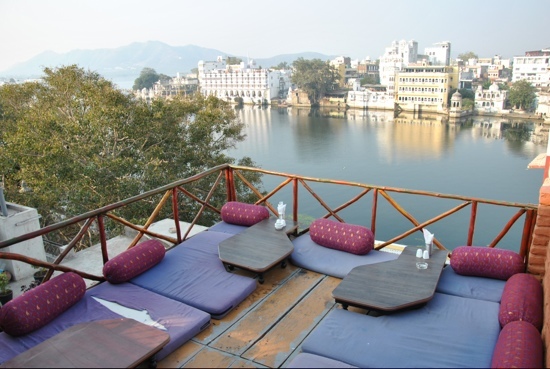 Below we have compiled 5 of the best Udaipur budget hotels under $50 each with a lake view with rooftop restaurants. Jaiwana Haveli has a lot to share with its tourist and is probably the best budget hotel in Udaipur. It used to be the private residence of the Thakur of Jaiwana located in Lal Ghat, on the banks of Lake Pichola. It has 24 guests’ rooms. A standard double is 2,250 rupees ($40) a night, while a corner room is 2,450 rupees ($45) exclusive of tax. The corner rooms 11, 21, and 31 have the awesome lake view and are worth paying a little bit extra. The hotel offers substantial discounts on its rates over the hot summer months, from mid April to mid July due to lesser tourist flood. Aashiya Haveli is known for its traditional home like stay. It has been situated in Lal Ghat for over 220 years. The hotel went under a renovation in 2006. There are 12 deluxe and family rooms to choose from, each with an individualistic charm. The rooms have white tiled western bathrooms and 24 hour hot water and ranges from 1,000-2,000 rupees per night. It is pure vegetarian. Also there are no phones or televisions in the rooms. The Hotel Nayee Haveli is a beautiful and cozy guest house with only six rooms located fronting the lake in the Gangaur Ghat area. It is here where the Gangaur Festival takes place. The footbridge to the other side of the water (and Hanuman Ghat) is only a couple of minutes away. The guests are provided with three terraces over different levels with superb view. Cooking lessons are also offered. You are sure to love the soft beds and pillows with beautiful decorations and delightful touch of the scattered flower petals. Rooms tariff are available from 1,350 rupees to 1,950 rupees a night ($25-35). The Panorama Guest House is a groovy old style Rajput Haveli where two pet tortoises is seen wandering its garden. It is located in the Hanuman Ghat area and is managed by the owners and family themselves. They give cooking lessons on a daily basis, free internet for guests and shop shops to cater to the needs of the tourists. Rooms are priced from 300 rupees ($6) to 1,000 rupees ($20) a night. The costliest rooms on the upper levels have lake views and large private balconies. 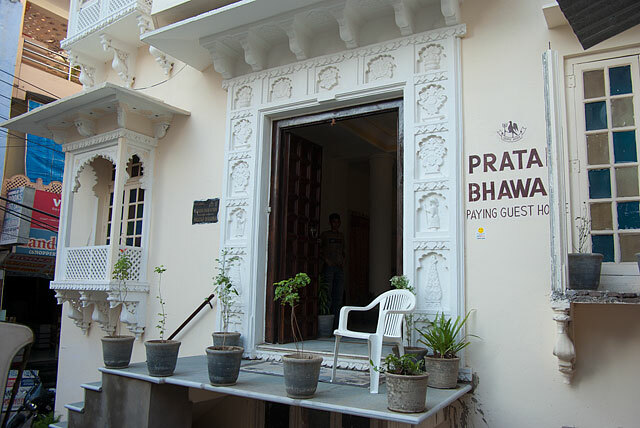 Pratap Bhawan is a popular Udaipur budget hotel situated in Lal Ghat. It has a very helpful staff providing excellent service every time. They arrange everything for tourists including elephant rides and procession. Free wireless Internet is available along with various classes like cooking and yoga. There are nine rooms in total with lovely cushioned window seats and bay windows. Each of the rooms is air conditioned too. Room tariff ranges from 950 rupees to 1,800 rupees ($18-35), plus tax. The room on the roof is the most expensive one as it provides a panoramic 360 degrees view of the lake and the Old Town. 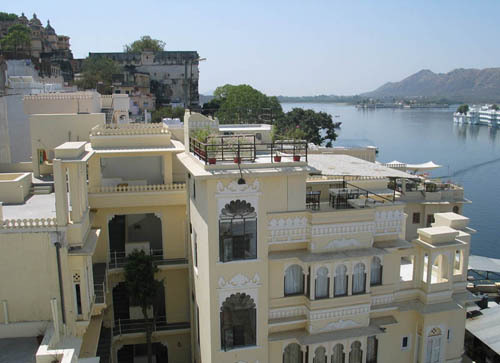 Since you are here, you might also want to search for the Top 5 Best Luxury Hotels in Udaipur.